BAG ArtCamp 2015 took place during the Summer Festival run by the Nordland Academy of Arts and Science in Melbu, North Norway in June/July 2015. 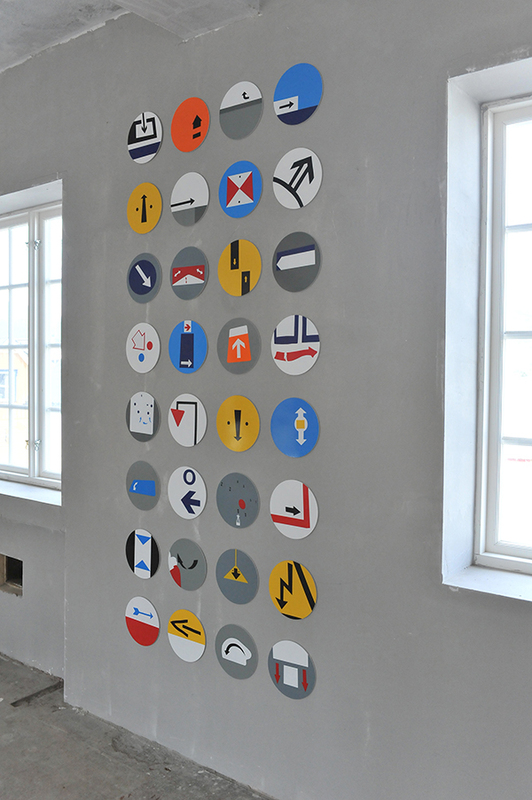 Nine artists from Bergen Ateliergruppe travelled by various modes of transport to Melbu to spend one week creating new works for an exhibition in the partly renovated Felleslageret building. 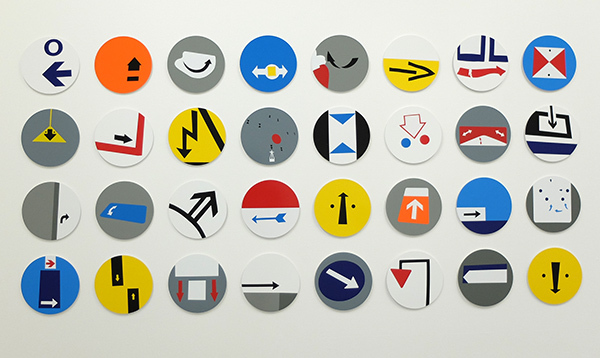 Each artist investigated a certain part of Melbu's history and identity, past and present. 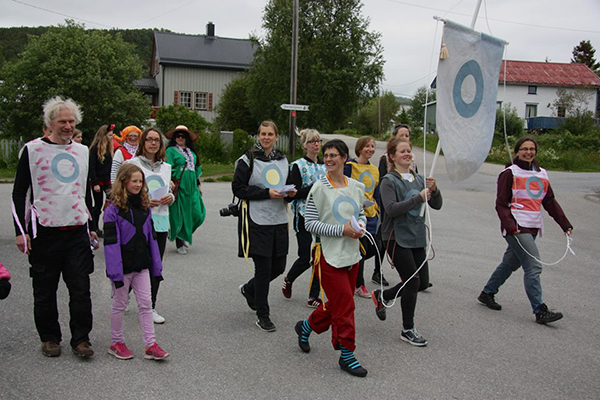 BAG Art Camp 2015 was warmly welcomed by Melbu, a small town on the island of Hadsel, with a huge community spirit. As an introduction to Melbu we were given an insight into the town's history, guided up mountains and on sail boats and served tea at the manor house. Shop keepers and locals were helpful with our requests for unusual materials and need for information. We were fed and housed well with stunning views over the Lofoten mountains. 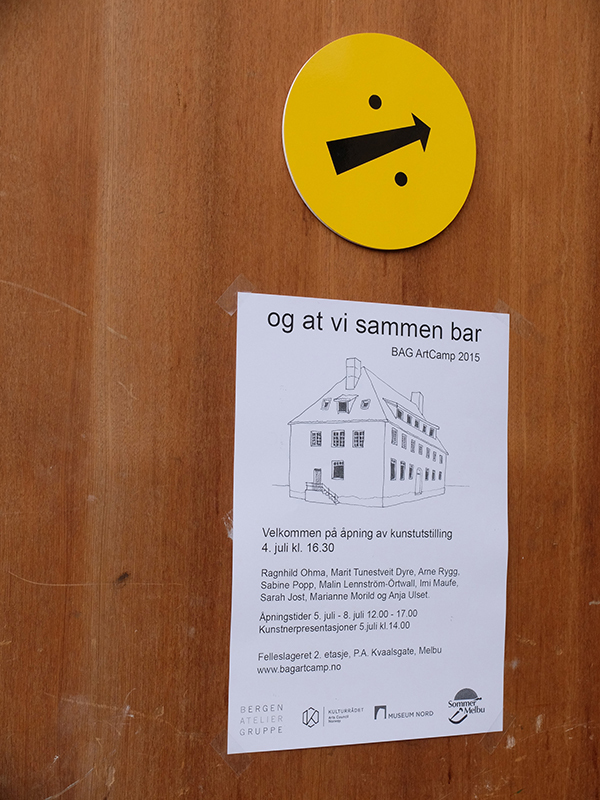 We turned the 2nd floor space at the Felleslageret into an room full of activity and then overnight into an exhibition titled 'og at vi sammen bar' opened with the hoisting of a giant flag thanks to Marit Tunetveit Dyre. The participating artists were: Ragnhild Ohma, Marit Tunestveit Dyre, Sabine Popp, Malin Lennström-Örtwall, Imi Maufe, Arne Rygg, Sarah Jost, Marianne Morild og Anja Ulset. 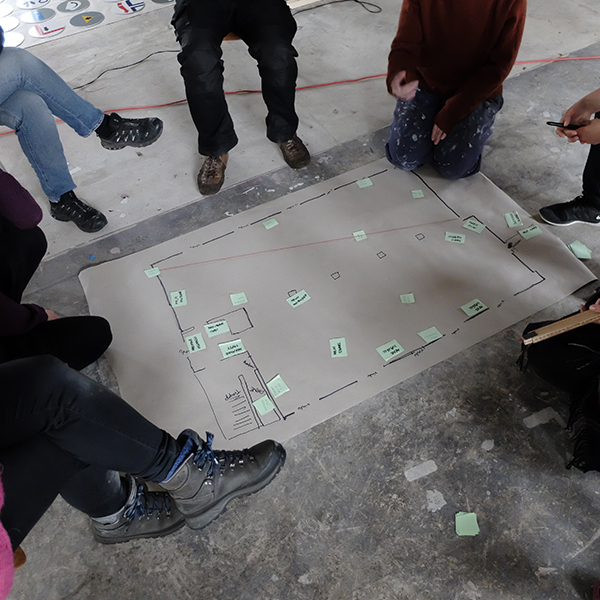 I was the main organiser for BAG Art Camp 2015 planning the project, liaising with the contacts in Melbu and applying funding with help of Malin Lennstrom-Ortwall. BAG Art Camp 2015 was a workshop residency in the spirit of the Triangle Arts concept. 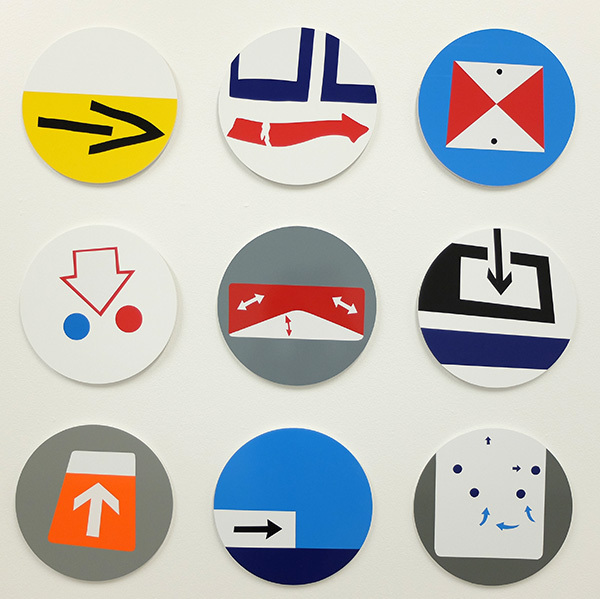 As a group project we all took five images of our journeys northwards. Mine consisted of arrows. After arriving by coastal steamer (Hurtigruten) from Bodø to Stokmarknes at 1.30am we walked the final part of the journey over the mountain arriving at 5am in Melbu. At the top of the mountain there is a dirt road running up to a mast. 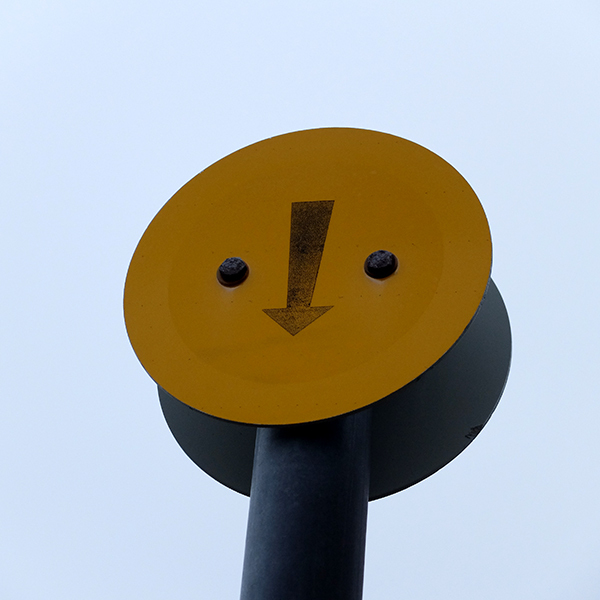 This road is marked by yellow arrow signs every roughly every twenty metres. 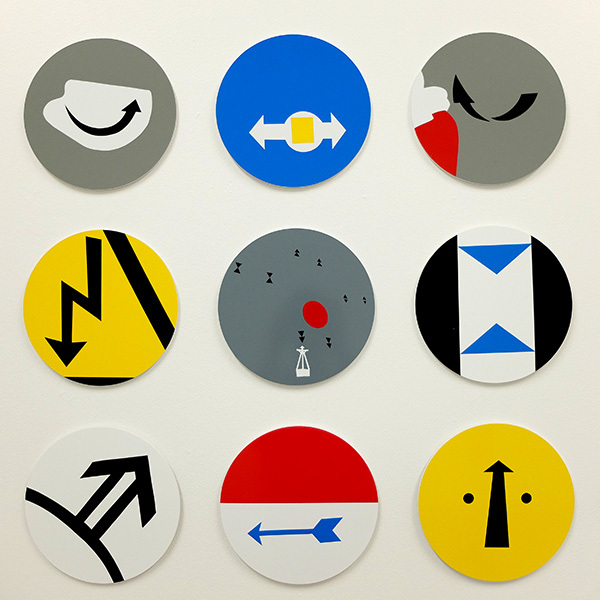 Signs became the theme for my part of the residency and I translated found signs from Melbu into a series of hand cut round graphic works. 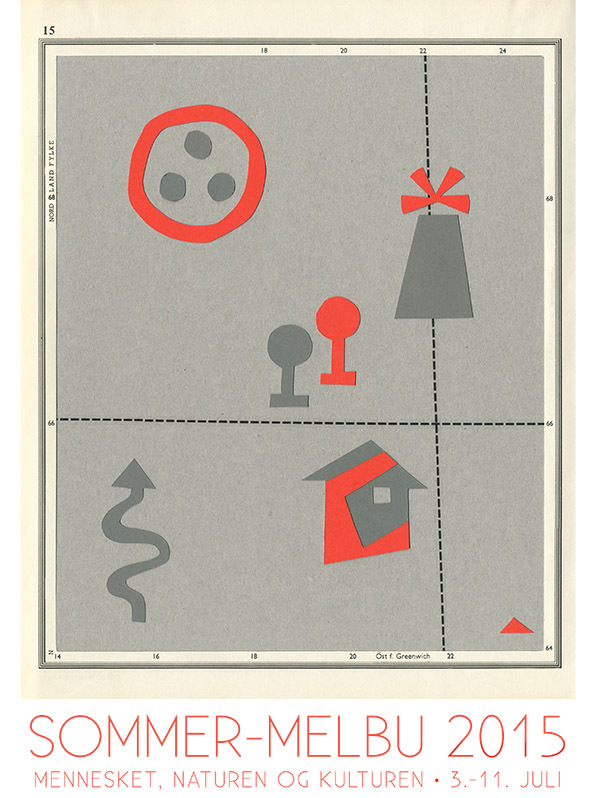 Thanks to Vizuelli, Harstad for help with materials. BAG Art Camp 2015 was funded by Norwegian Council of Arts (Norske kulturråd) and the Nordland Academy of Arts and Sciences. 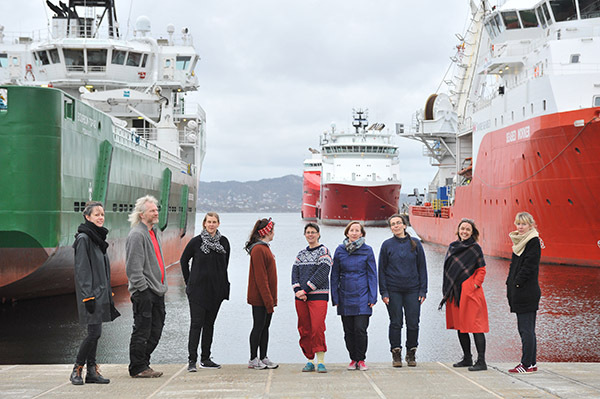 BAG Art Camp 2015: Participants at Bergen docks before departure.